An Irizar coach is a safe, profitable and durable investment. Our customers are assured of having a reliable vehicle. We have more than 125 years’ experience in building coaches which, for the last 20 years, have operated on the five continents with their diverse climates and road conditions. Our coaches are designed under the most stringent quality parameters, with robust and reliable finishes of the highest quality. An accelerated fatigue track is used to simulate the accumulation of kilometres equivalent to the entire service life of the vehicle. The tests combine driving on different surfaces and at different speeds. A series of manoeuvres are carried out to stress the structure of the vehicle and to force the suspension systems, detect noises inside the cabin, view the intrusion of dust inside the compartments and even analyse wear. We simulate the intensive use of the coach to check its durability under the most severe conditions. The test is extensively monitored. On a daily basis and once every certain percentage of tests, technicians from independent institutes inspect the coaches to detect any anomalies due to accelerated fatigue. We offer maximum returns for our customers based on lowering fuel consumption which we achieve by designing coaches with optimum aerodynamics and weight distribution, reducing maintenance costs and offering maximum accessibility to the components to facilitate maintenance. The high resale value of Irizar coaches and Irizar’s warranty coverage are factors that make it a profitable investment. 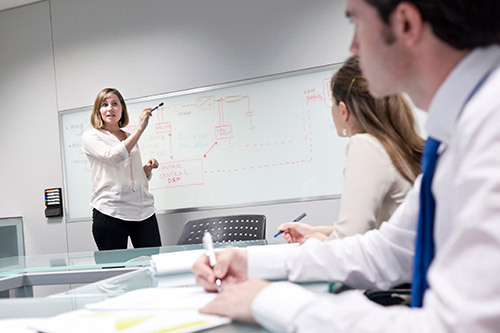 Customer service is a benchmark and differentiating value at Irizar. 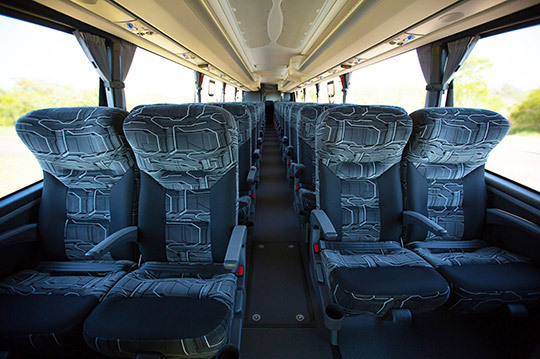 We offer a close and personalised service aimed at building trust that begins at the moment in which the customer defines and configures their coach in accordance with their needs, along with a team of employees who will accompany them throughout the entire service life of the vehicle, helping them to make the best decisions to make their coaches profitable. 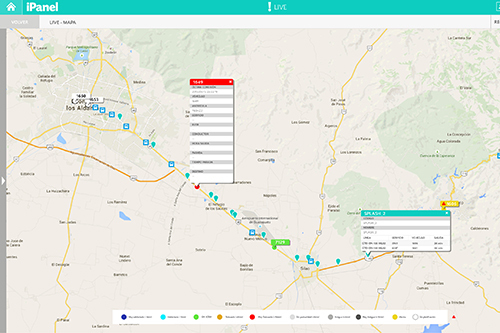 The iservice tool is a web platform for managing the servicing (use, maintenance and repair) of the vehicle and offers the possibility of on-line access or access via mobile phone or tablet to conveniently review the technical documentation relating to your coach, the service manual, the workshop manual, pneumatic and electrical information as well as the support network to facilitate repairing the vehicle. 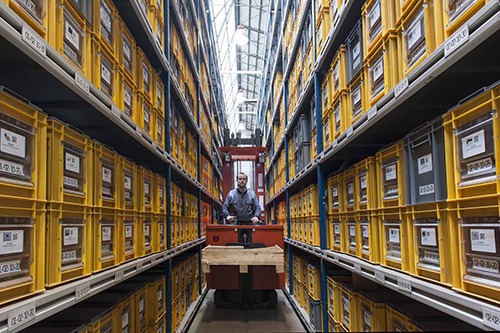 It also enables you to enter the spare parts catalogue which is personalised for each vehicle, includes diagrams and visuals, and is listed by families and components and even to manage the ordering of spare parts, their monitoring and delivery via the Eshop. We regularly run appropriate training courses to keep technicians from our extensive network of workshops abreast of innovations that are being incorporated into each model of coach so that their performance in terms of safety or repair and maintenance work is of the highest quality. The iPanel fleet manager offers the most advanced technology to provide customisable solutions according to the needs of the business model. iPanel services are tailored to be integrated into the processes of our clients, helping in decision-making in order to improve profitability. Thanks to our fully customisable fleet management system, our customers can optimise the performance and profitability of their fleet, in addition to thoroughly monitoring costs and efficiency. Datik products and services are designed for commercial fleets of all sizes. The EcoAssist system is a fuel-saving solution that shows the driver a series of instructions that optimise his or her driving style. 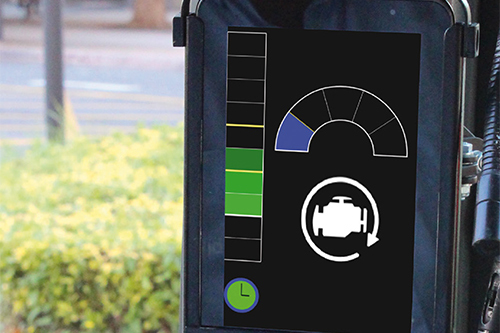 It provides efficiency data on fuel consumption and carbon dioxide emissions directly from the vehicle in order to assist in decision-making and optimising resources. EcoAssist underlines the need to improve driving styles, increase driver awareness of the impact of transport on nature as well as increase energy efficiency, reduce fuel consumption, increase road safety and enable companies to make cost savings. 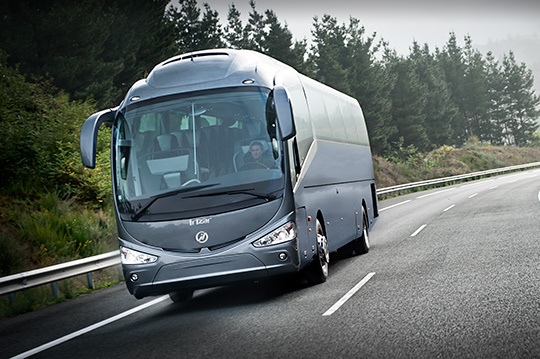 Design is one of the main features that has helped to make Irizar an icon. Each coach is a combination of design, functionality and technology. Presence, personality and character, attractive graphics, aerodynamic lines, solid forms, robustness, ergonomics, accessibility, fluidity and movement are some of the traits that our buses and coaches convey around the world. Each piece of an Irizar coach has passed through the hands of Irizar designers in order to add value to the brand image of operators and different emotions and sensations for passengers. Irizar buses and coaches thereby manage to fuse beauty, robustness, functionality, fascination and technology. Inside the bus, everything is taken care of down to the smallest detail in order to offer maximum comfort and a sense of well-being for the driver and passengers. The coaches have large interior spaces in which to enjoy perfect ergonomics and wide access to facilitate comfort and accessibility. The design of the interior spaces, the harmony of colours, the aesthetics and the rounded forms will ensure you enjoy every kilometre in an unrivalled atmosphere of calm, well-being and comfort. Personalisation and flexibility to meet the demands of our customers is a key differentiator in Irizar. We offer maximum adaptability enabling customers to configure the coach and other equipment options to suit them, just as they wish. This includes choosing between a wide range of different finishes and upholstery for seats and a long list of on-board entertainment options: Wi-Fi system, iPod dock, integrated seat monitors, individual audio, navigation and surveillance systems or a number of catering options. As an option, we offer a VIP 2+1 seat distribution, intended for exclusive luxury and high-quality passenger services. Ideal for regular “first class” lines, it can be easily transformed into a standard distribution coach with two seats on each side and with access systems for persons with reduced mobility and adapted equipment. In short, we are at the forefront when it comes to offering customers the latest technologies adapted to coaches.